An anchovy approaches unaware to a Red Scorpion-fish. Shot captured in the wild in the Mediterranean Sea (Italy) by 3CCD camera - PAL system. 4k00:16stirring a stew of meatballs. 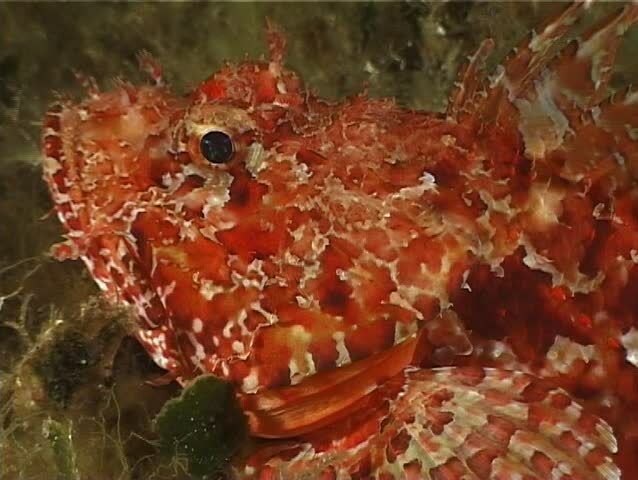 Filmed in October 2018.
sd00:09Red Scorpion-fish in stand by. Shot captured in the wild in the Mediterranean Sea (Italy) by 3CCD camera - PAL system.